Both Analog models get the higher-quality OLED display and new pad and encoder design that first debuted on the Digitakt. 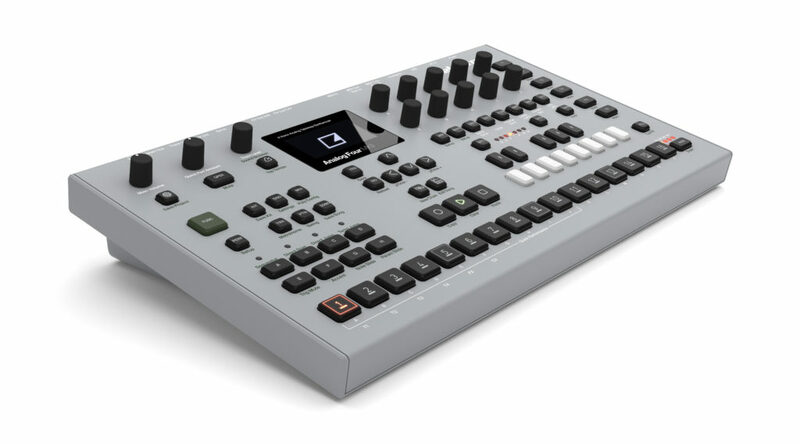 But it seems Elektron are also giving the Analog models a style all their own. The aluminum chassis is in a distinctive gray color and tilts up. That said, there’s not much to complain about on the Analog Four and Analog Rytm side – and indeed, here there may be pretty good reason for existing users to update, particularly with sampling on the Rytm. 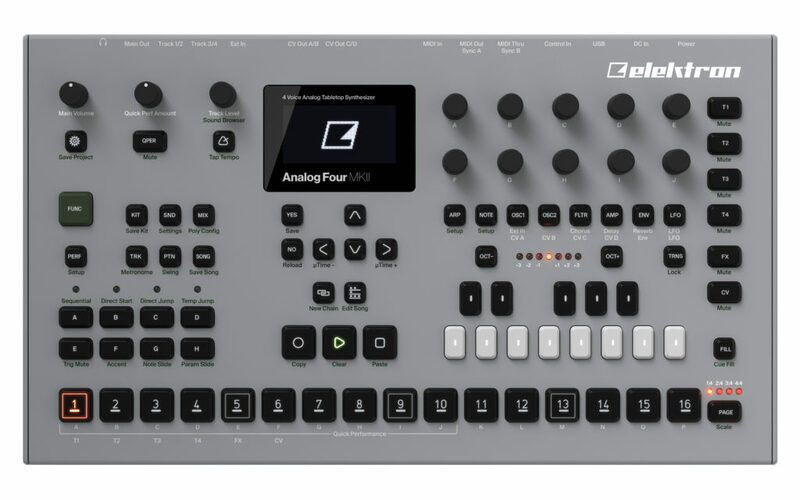 The analog synth in Elektron’s lineup gets the physical updates just as everything else, including more quick-access performance controls. 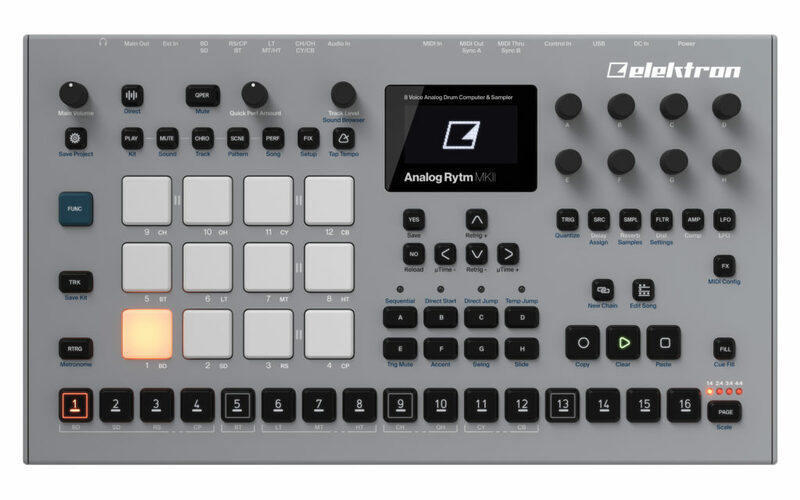 Elektron promises “reworked” circuitry for the bass, plus “enhanced” overdrive. Deeper? More defined? More bite and growl? Uh, well, something. We’ll have to hear these in person to judge. You also get more I/O – stereo audio outputs for each voice, expression and CV inputs for external control, and even higher-bandwidth Overbridge. All of this would seem to come together in a nice package, one that should look and feel and sound at least a little better than the original. Now, whether that means you should upgrade or not depends on how much better it sounds, and what difference you can get between selling your used model and buying the new one. 1449 EUR / 1349 USD, available September. That’s probably going to outweigh anything else we could say about the Analog Rytm. So, all the MKII stuff is true here, too – better encoders, better display, more performance controls (less menu diving/shifting, that is). And you get Expression/CV inputs as on the Analog Four and higher-bandwidth Overbridge. But the big breakthrough has to be sampling. You have balanced sampling inputs on the device and can sample directly on the hardware. That would open up lots of new creative ways of working – grabbing an idea off a synth, for instance, without the usual chore of going via the computer. There’s not a lot of information here and Elektron haven’t yet posted a manual, but this sounds promising. As a product developing company, you always have to keep on pushing forward. You can never stop or rest or think that things are pretty good as they are or that you should keep it lagom (Swedish expression). If you do any of this, you go backwards and then the risk is that there will be no more company. I’m super proud to be a part of this and I’m counting my 18th anniversary of being involved with Elektron this year. Creating, realizing and bringing forth creative musical instruments into this shaky and fragile world is the best thing ever. These two new updated products announced today, MKII versions of our hugely acclaimed analog synth and drum machine, represents a pinnacle in modern analog and digital hybrid design in musical synthesizers. Nothing beats this. I wouldn’t normally post something like that, but it’s interesting to hear an employee talk personally, outside of the usual PR speak. Now, that’s some proper bragging, so let’s see if the MKIIs live up to that!